I sometimes do tattoos but am always open for commissions (all start at $50). If you are interested in purchasing a flash or looking to request a tattoo commission, contact me at elise.miguel717@gmail.com. 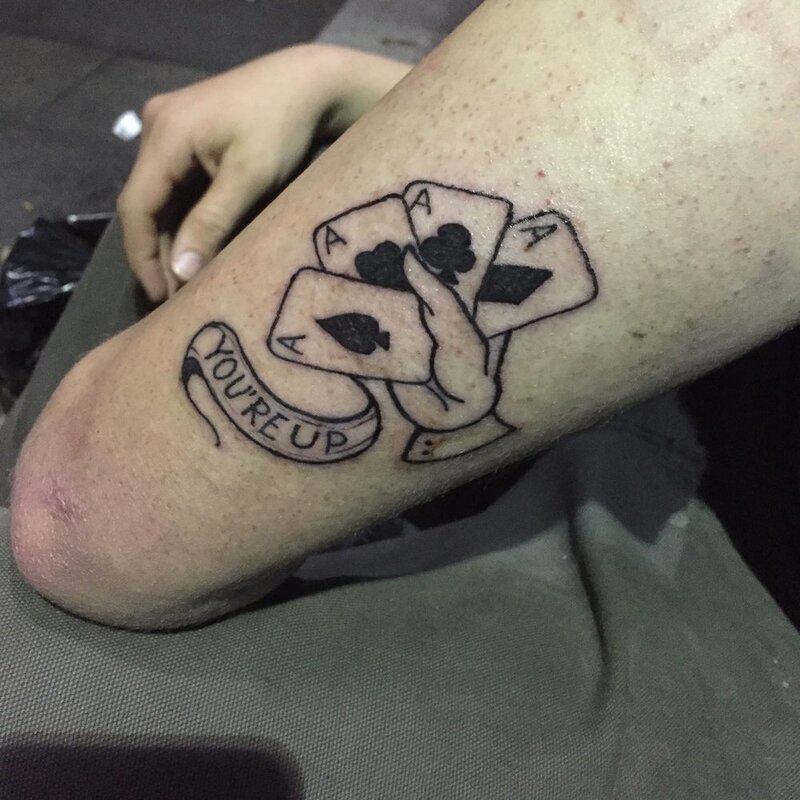 "You're Up" tattoo off a flash from 2015. "Devil Woman" original tattoo design by Elise Miguel. "Dog Queen" original tattoo commission by Elise Miguel.